1912 – African National Congress Founded. African National Congress was founded on this date in 1912. The African National Congress is the Republic of South Africa’s governing political party and was originally named the South African Native National Congress. The organization’s aim was to increase the rights of the population of Blacks in South Africa. It’s first president was John Dube and in 1923 its name was changed to the ANC. The organization called for boycotts and strikes but eventually when the peaceful, non-violence goals of the organization seemed ineffective in battling apartheid, a military wing of the ANC was organized called the Umkhonto we Sizwe (MK) in 1961. The MK was co-founded by Nelson Mandela who served as its chairman and it initiated a sabotage campaign against the apartheid government, bombing power plants, military installations and communications apparatuses throughout the country. Although this was clearly violent action taken in protest, the MK took actions to minimize casualties. 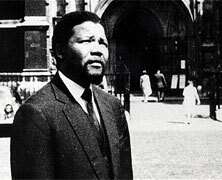 Mandela was arrested in 1962 and was connived of conspiracy to overthrow the government, sentenced to life in prison. After serving 27 years in prison, Mandela was released in 1990 and became the President of South Africa in 1994. The ANC is the prevailing political party in South Africa today. 1922 – Colonel Charles Young Dies. Colonel Charles Young, the first Black to achieve that rank died on this day in 1922 in Lagos, Nigeria. 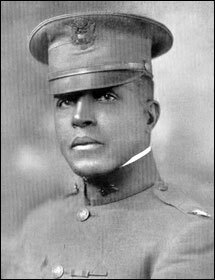 Young was only the third graduate of the West Point, the United States Military Academy and became the first Black to serve as the superintendent of a National Park (the Sequoia and General Grant national parks) the first Black military attache (to Port Au Prince, Haiti). At his death, he was still the highest ranked Black military official.